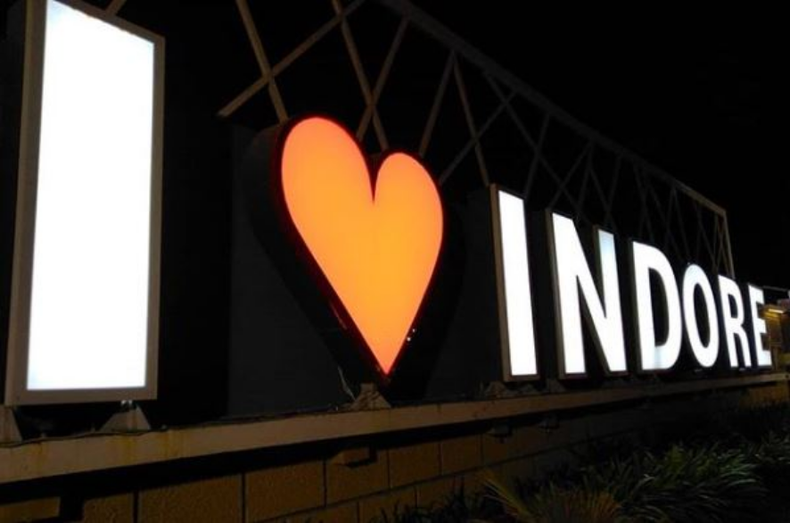 7 Iconic Things Indore Has Given To Everyone! Known to be the Food Capital of India, Indore is situated at the heart of our country and has given so much to the world! A few days back I was talking to some of my friends, and one of them who is from Indore was all praises about his hometown. Now, we all love the place where we have had our childhood memories, the place where we grew up. But that does not mean others too will like your hometown the way you do. I felt the same, while he was bragging about his city, Indore. However, when he described the details, I was finding myself to be much convinced that Indore indeed was amongst the best and has given everyone a lot many reasons to love it! Did you know that Indore is the home for one of India’s most important Research Centers – RRCAT ( Raja Raman Center of Atomic Technology)? Here in CAT, major research projects on accelerators, cryogenics, R&D in non-nuclear front-line research areas of lasers, particle accelerators and related technologies along with other secretive researches are carried out. Does this man need any introduction? Salman Khan, who is a multi-faceted celebrity, an Indian film actor, producer, occasional playback singer, is enjoying the film industry career for almost thirty years now. With numerous awards in his basket, this much-celebrated personality of our Bollywood has won everyone’s heart. He has not only limited his reach until the Bollywood but also has been an active contributor to the society. Indore has been consistently proving itself as the cleanest city in India for the past 3 years. With the incredible habits and formulas, Indore has given the world the best example that anyone could have ever thought of. The smart tips like night cleaning, citizens carrying portable dustbins in their cars, new-design municipal trucks have made the Indoris stand out of the crowd. In fact, the people of Indore have passed on the cleanliness obsession with the new generation too. Can you guess how? By making the newlyweds administered the oath of cleanliness as their 8th vow! Also, we have heard that dustbins are distributed during wedding ceremonies in Indore. If you are not from Indore, you have not seen half of the Indian street food yet. Like seriously! Have you heard about Poha Jalebi, Khatta Samosa, Moong Bhajiya, Bhutte Ki Kees, Mawa Batti, Dal Bafla? Or have you tried them? If no, visit Indore and be enthralled with the nostril enriching and mouthwatering food out there. The reason behind the craze of the street food of Indore is because the food preparation has its roots from Rajasthan, Gujarat, and Maharashtra. As a result of these, Indore street food will serve to give you a delicious meal that will keep you smiling all day. Markets are all over India, but Indore, as always has managed to be different in this sector too. In Indore, there are Night Market(After 8:00 p.m-4:00 A.M) Sarafa market, you will find the items not to miss like Malpuvas, Jalebas(Big jalebis), Garadu(Winter only), Dahi-Vada, Sabudana Khichhdi, Chhole Tikiya, Shikanji, Makke ka kiss. Another market like Chappan Dukaan (located at the heart of the city) has 56 shops, where you can get a plethora of food. Must try's form this market include; Madhuram Sweets- Shikanji, Dry fruit Paan, Jain Sweets-Jalebi, Jhonnys-Hot Dog, Young Tarang-Poha and so on. One will be super impressed to know that Asia’s biggest colony lies in Indore! There might be many others in different stated but Sudama Nagar which is situated in Indore has a specialty. People say that you can not locate any house until and unless you know the exact address of the house. How far is it true, you will know only once yo figure out anyone residing there. Every Indori perhaps might be aware of bada Ganpati but do we know about it? Bada Ganapati is considered one of the biggest Ganpati in the world. With the height of about 25 feet from crown to foot, it is said that the statue is made of a peculiar mixture of limestone, jaggery, bricks, sacred soil and water from the major pilgrim places in the country. History traces back its established by the then Queen of Holkar dynasty. However, there is a legend about Shri Dadhich, a resident of the nearby city of Avantika or Ujjain. He had a vision of the Lord Ganesha in his dream and taking this gesture as a spiritual blessing, he decided to pay tribute to the Lord by building a gigantic idol of Him. Indore has certainly given the world a lot of spectacular things and iconic personality. So what do we do in return? Maybe pay a humble visit in return? Let us know about Indore in the comment section below and help in growing the list even bigger! Hey m from indore city n its a lovely place to live. Hi akansha! No i am not from Indore but i really appreciate it as a city 😊 Are you from Indore?